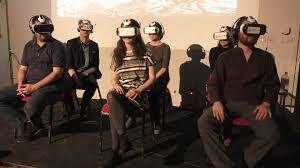 The idea is to bring various short Virtual Reality films to El Paso, Texas. These “VR” experiences. The idea is to do ongoing showings of these films and others during the three-day event. Each film will be around 2-3 minutes in length and focus on the making the viewer “experience VR” like never before. We only use the highest resolution Headsets, VR Technology and Headphones to give the user the best VR experience possible. This is the least experience way to experience VR during the event. All that is required is a small indoor area during the event with power. We have 10 VR stations which can be show the various films at different intervals. This means that over the three days it could be possible to show these VR films to hundreds of people. b) Two assistants to help people get their headsets activated, charged and setup. We have done many events like this before in Canada, Los Angeles and even at Fab Lab in El Paso, Texas. A small fee could be charged to see the different experiences from perhaps from $3 to $5. 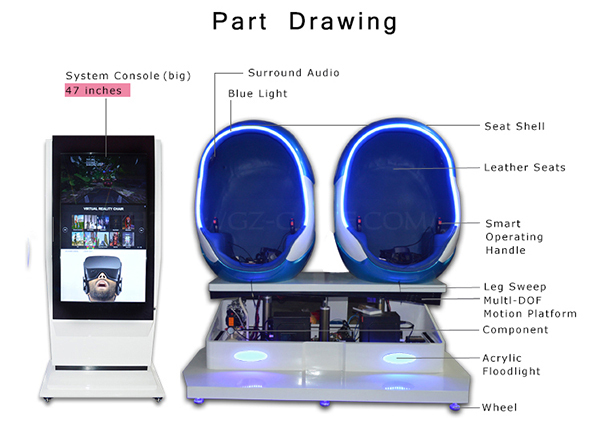 2) 9d virtual reality cinema game simulator. This is a much more expensive rental but would allow a unit to be shown outside rather than indoors and attract more attention. This solution would show games and videos which last around 4-5 minutes long as it moves around with all kinds of simulated movement. This simulator can handle two people and could be priced around $5-10 per person.